Do you have “the right stuff” to be a pilot? On Saturday, April 27, various Flight Training schools will offer special $25 Discovery Flight and ride-alongs for those interested in pursuing a Private Pilot’s License. The flights are approximately 20 minutes long and are highly recommended for anyone interested in aviation. 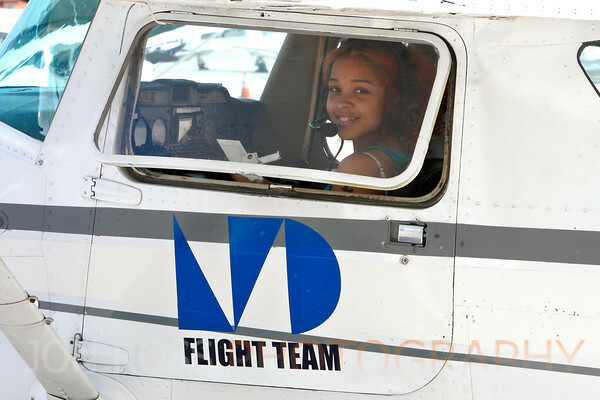 You will fly with a FAA Certified Flight Instructor, as the co-pilot or a flight crew member. You will take-off from Opa-Locka Executive Airport and fly the traffic pattern around the airport. As co-pilot, you will learn to maintain the airplane in straight & level flight and make turns. The goal of this flight is to see if you are comfortable in a small aircraft and if flying is something you want to pursue. Even if you choose not to become a pilot, it is an exciting experience for yourself or would be great as a gift. Ready to Fly? 10+ Years of Age, Parents are encourage to ride with younger flyers. Parental consent required for those under 18. Sign Up for a Flight! Donate a Flight! The South Florida Aviation Fly-In and Educational Expo's purpose is to introduce as many kids, young adults, and members of our community to the huge impact that aviation has in Miami. Copyright SAFEE Flight 2018. All Rights Reserved.